Books and coffee have finally found one another. It’s no secret: writers write books fueled by sips of coffee and readers discuss and read books while holding tightly to steaming mugs. Groups of readers and writers have been gathering around coffee house tables for as long as there have been chairs in the room. Like most modern romances, however, it took the Internet to finally make the coffee and books relationship blossom. Hillcrest Media Group CEO, Mark Levine, a respected entrepreneur in the publishing industry, assumed the two forces of books and coffee would eventually emerge as the power couple they are. So, several years ago, he purchased the domain name CoffeeandBooks.com. The idea became a wisp of a possibility when, in 2010, Mark shared his idea about Coffee & Books with a lady friend. Mark’s publishing company, based in Minneapolis, has plenty of books to share with the world, but the one thing his idea was missing was the coffee. 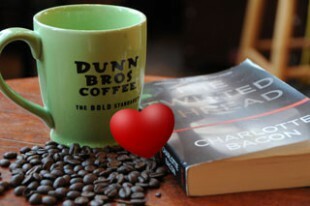 Thanks to his friend, and her eventual connection to another entrepreneurial CEO, at Dunn Bros Coffee, the virtually perfect connection between coffee and books came to be. After a brief courting period, CoffeeandBooks.com launched its web site in November 2012, and since then more and more connections have been made for authors to their readers, writers to other writers, books to readers, and book lovers to each other. The linchpin, of course, has been the coffee, and it is one joyous affair. A young woman blows gently on the steaming cup of coffee before taking a quick sip. With a satisfied inhale, she exchanges the cup for the book that has been lying on the table. Having decided her comment, she looks up to respond to the other women chatting amongst themselves. In the comfortable couch to the left of the book club, a young man reinserts his ear buds and continues tapping out words on his computer. He occasionally lifts his eyes from the screen as he considers the next sentence, and dives back into his keyboard when the words come. He’ll bring this most recent draft to his writers’ group meeting next week at Dunn Bros Coffee. about local writers’ events? Are you in an active writers’ group and if not would you like to hear about local writing groups? groups meet at Dunn Bros Coffee, they receive deals on drinks and food. “Coffee is a habitual product. People are coming in multiple times a week anyway to sit and meet with people,” says Dunn Bros Coffee director of marketing, Melissa Telsrow. The atmosphere of a coffee house lends itself to the needs of book club discussion, while the Coffee & Books program urges readers and writers alike to find one another. Physical space allotted for books has been changing quickly. Brick and mortar bookstores have been closing, libraries have been cutting hours, and authors and books are looking for their next physical hangout. 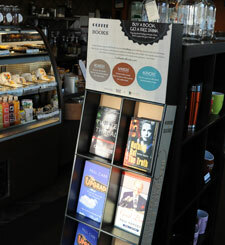 Dunn Bros Coffee, a franchise company, has always prided itself for its local support of the arts. The art on the walls rotates regularly and performing artists are welcomed onto the coffeehouse stage to promote their work. 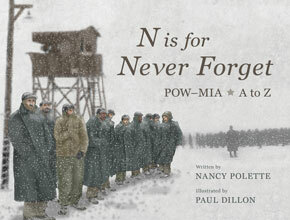 Including books and authors in this effort seems like a perfect fit. Karina Taylor, marketing lead for Hillcrest Media Group explains, a “primary benefit is having books in the store.” Mirroring the art rotation, the coffee houses physically carry eight titles at a time. The books rotate regularly, and the rotation keeps the material fresh and the opportunity for exciting events a possibility. Book-loving people want to come together. 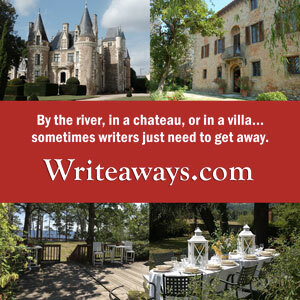 They especially want to come together to talk about books, to meet interesting authors, or to collaborate with other writers about the challenges of writing. 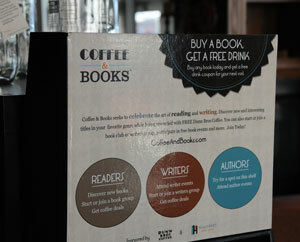 Coffee & Books not only offers a way for people to come together, it rewards those who do. It is the decision to come together that may be the most important of all. Coffee & Books, finally connected in the way they were meant to be connected, is bringing together more people who seek connections of their own. The program includes 30 participating authors and more than 2500 readers so far, and as the program grows, there are plans to include other interested coffee houses. Coffee & Books, Hillcrest Media Group, and Dunn Bros Coffee all hope the story will end as good romance tales often do…happily ever after.